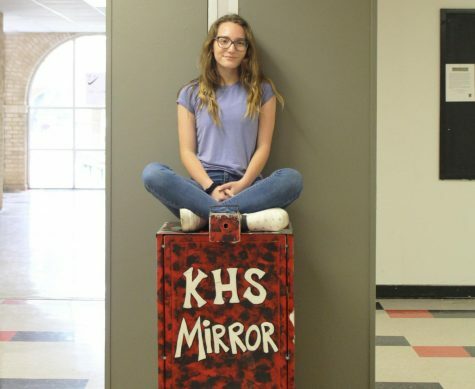 Faith Jones is a sophomore and a first year staff writer. She is also a member of the band where she plays flute and has earned a first division at solo and ensemble. She is also a cheer manager, a new member of the Anchor Club, has participated and earned many medals in journalism UIL and is extremely skilled in the tea spilling department. Faith is sure of where she wants to go but unsure of how to get there. She wants to write novels and fix the lives of crazy people as well as herself (psychology). As for where she plans to accomplish these goals, she hasn’t thought that far ahead. For right now Faith is content with her nine cats and enjoys the presence of anyone who can make her laugh.